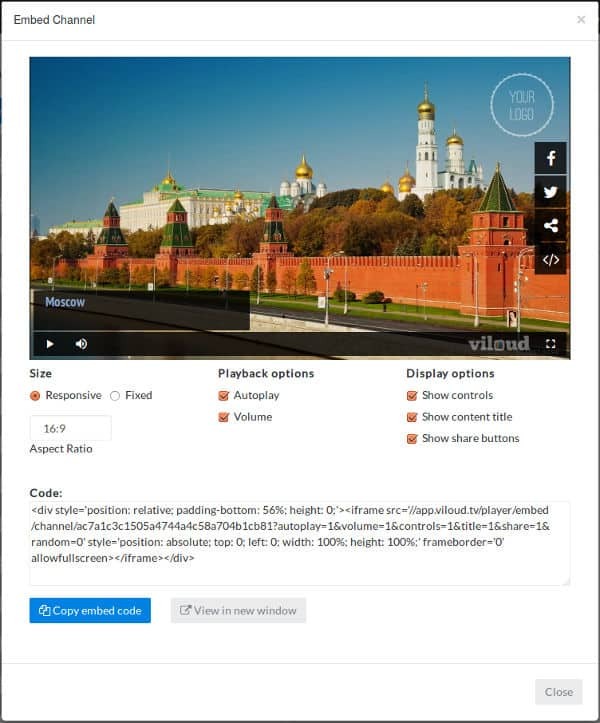 Installing the Viloud player on your site is as easy as pasting a few lines of code in your HTML site. Click on the "Channels" section in the navigation menu on left. Click on the "Embed" button of the channels list. Choose your player configuration: size, playback and display options. Copy the code in the text box. Paste the code in your HTML Site. Also you'll have a direct link to your channel clicking on "Preview in new window" button.